@Title: for short, one-line descriptions of specifications. @Narrative: for longer, more verbose descriptions. They usually have a form of User Stories “As…, I want…, to…“. @Subject: clearly indicates what is being tested. @See: a link to one or more references to external resources. @Issue: a link to an issue. 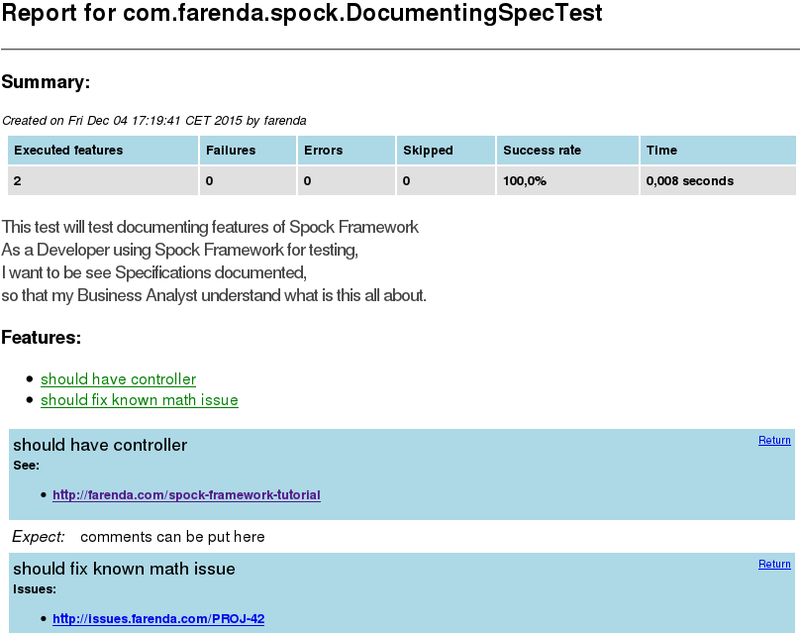 Comments along Spock’s labels (expect, and, then, etc.). Either @Narrative or @Title should be used, not both at once. It depends for whom you write the description and who is going to read test reports. so that my Business Analyst understand what is this all about.